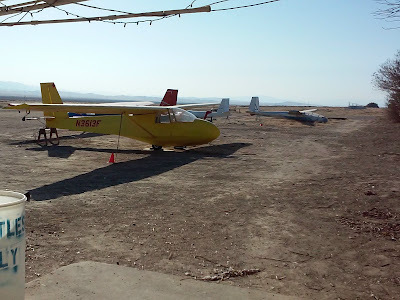 Central California Soaring Association: SATURDAY, August 13, 2016. Hot again, but members showed up to fly. SATURDAY, August 13, 2016. Hot again, but members showed up to fly. Comment: Maybe we'll see more reports and photos after this is published. 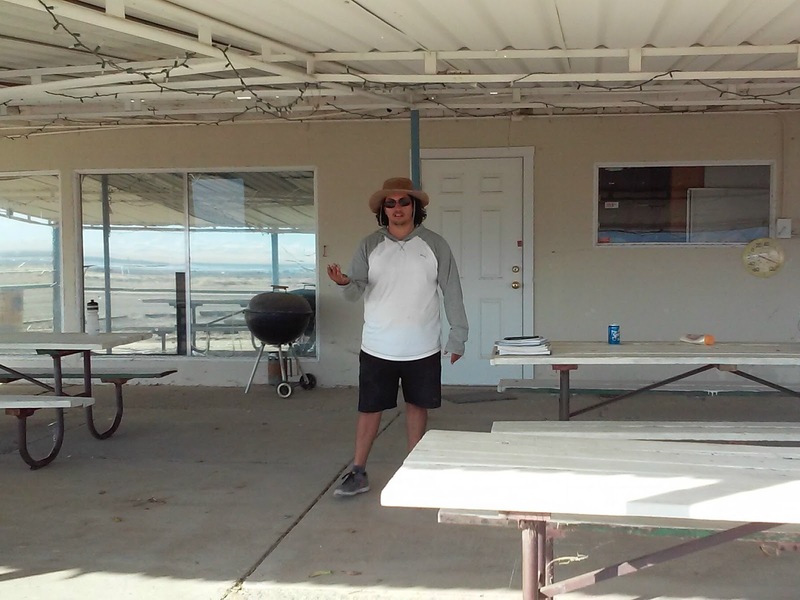 I was out at Avenal on Saturday. I gave Jim Rickey a tow in the Orange Crush after he had spent all day doing the towing. 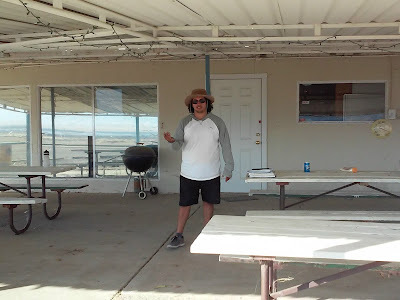 I also worked ground school with Sergio, who is scheduled to take the private glider written test in about a week and a half. I then came down to San Diego for a couple of days for a memorial service for one of my Dad's best friends. Saturday was Sergio's girlfriend Dulce's birthday. We found out she is a great cook. Went home with a bunch of tamales she wraps in banana leaves. They were a big hit at my house. Sergio also made some good hamburgers for lunch on the clubhouse porch. Don Flinn had a power pilot transition, Russ, he was working with. Rick Eason was flying the 1-26. Troy Wollman was giving a friend a ride in the 2-33 Big Bird and also flew the 1-26. There was more activity I missed. The lift was reported as not that good, although Troy was up for an hour in the 1-26 and had no working varios due to an electric issue in the glider. Sergio Grajeda on the patio ready for lunch and Dulce's birthday. 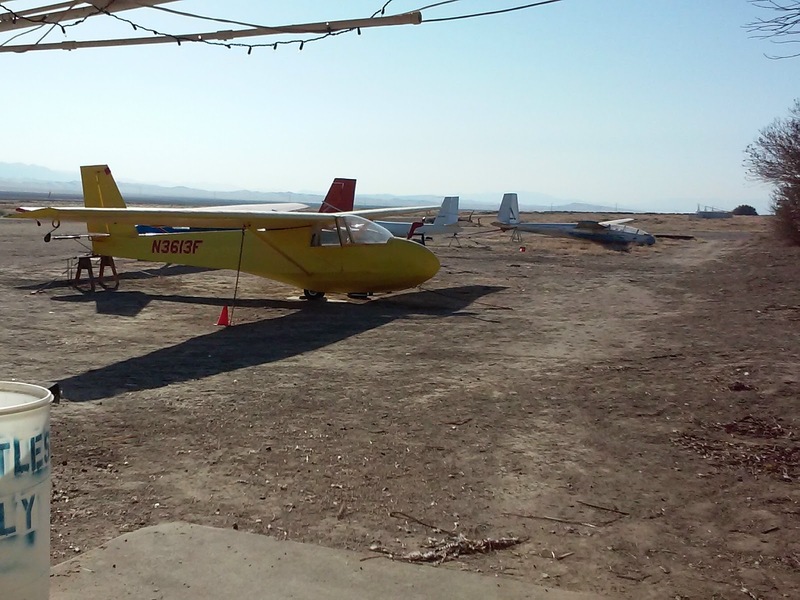 The gliders tied down before the gang showed up to chase thermals. Next time we'll have more reporting and pictures.